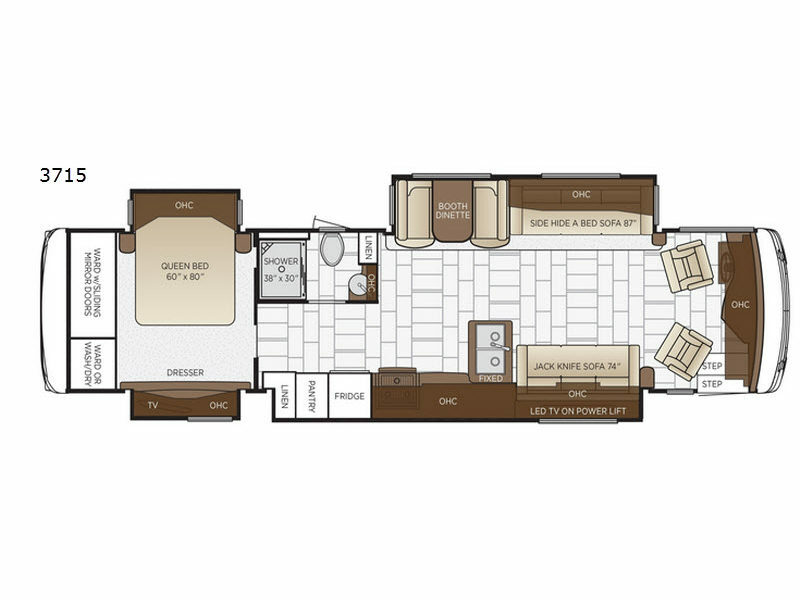 When you are ready for a change of scenery then load up your family in this quad slide out 3715 Ventana motor home by Newmar. Whether you want to travel along the country side, or park at your favorite campground, the ability to get up and go has never been easier! 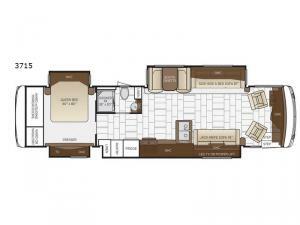 Inside this model you will enjoy all of the seating options from the 74" jack knife sofa to the 87" hide-a-bed sofa, plus the driver and passenger seats swivel around. At night head to the rear bedroom and you will find a queen bed, a large wardrobe and dresser, plus an area that has been prepped for a washer and dryer so now you can easily keep up with the laundry while you are away from home.